The royal of the wilderness. 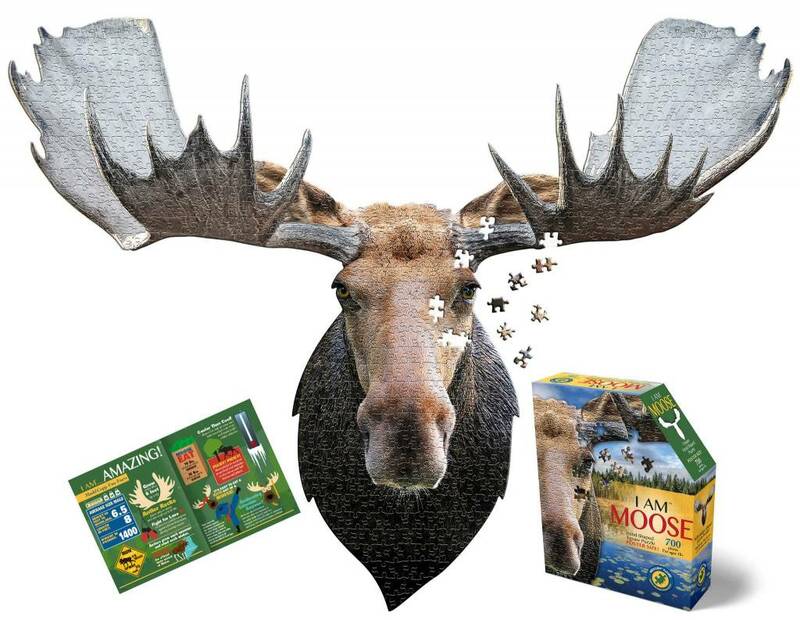 Madd Capp Puzzles will challenge and inspire you, your family and your friends. A poster size head-shaped puzzle when completed, fun facts and image reference contained inside. The 700 piece special die cut shaped puzzle measures 41" x 36" when completed. 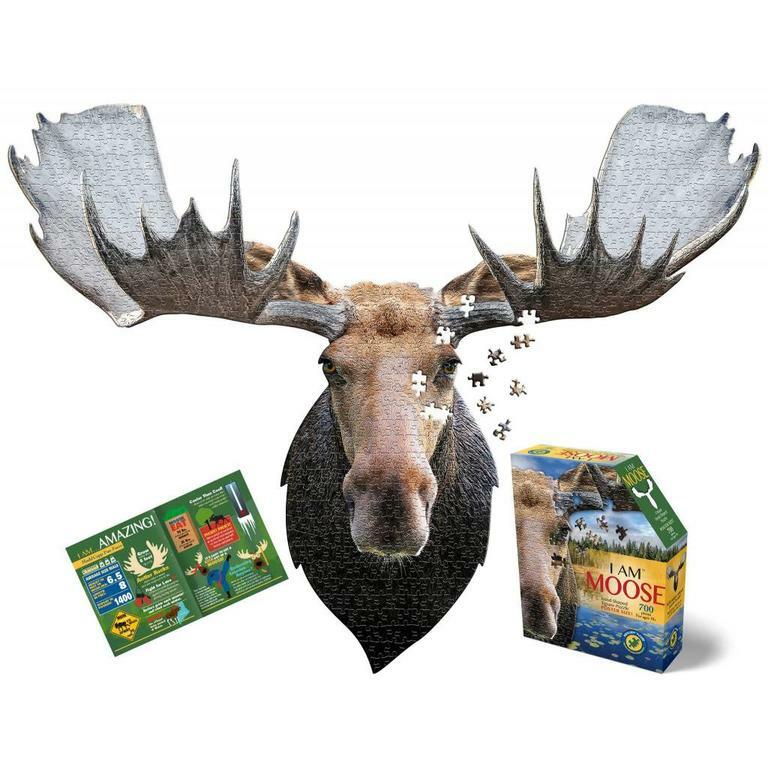 The moose is loose and ready for a challenge. Madd Capp Puzzles are a CUT above the rest!